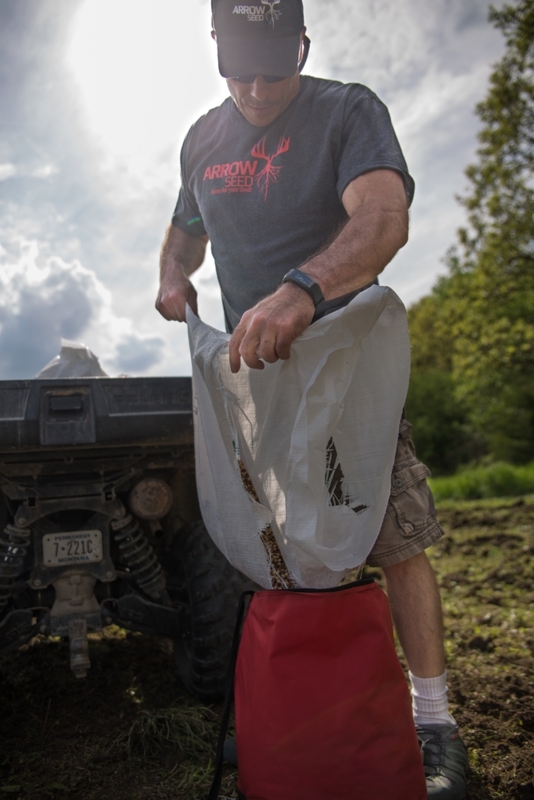 Food plots have become the craze for the hunter wanting to grow and kill monster whitetails. Plots that were once no more than a quarter acre of land, today, are expensive, well-designed, and well managed acres and acres worth of food. 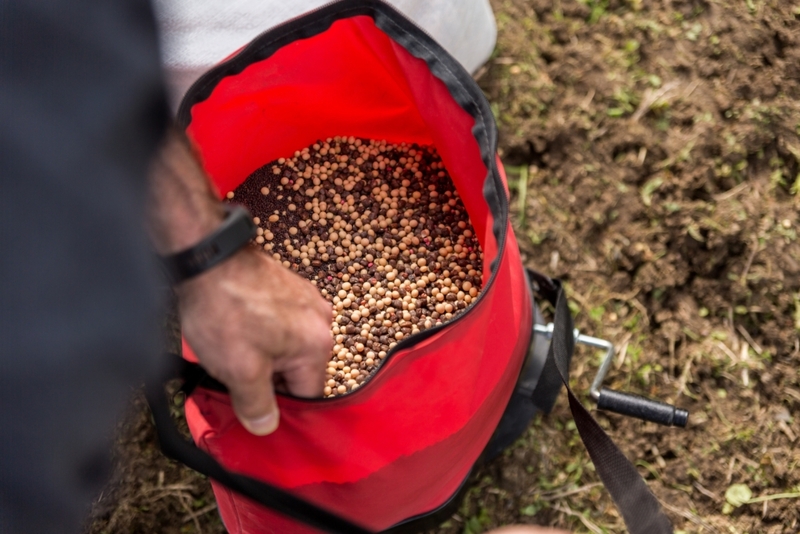 Food plots can be made as small, or as big as you have the ground for and the varieties of plots that can be made seem endless. 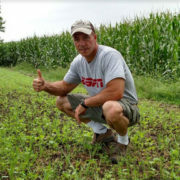 The opportunity to plant a variety of seeds in different plots that will give wildlife every thing they want and need should be first and foremost on the minds of anyone serious about hunting whitetails and other game. There are several good seed mixes on the market, but these work well for our needs. Deer Delight is a great seed for deer managers and hunters because of its unique properties. 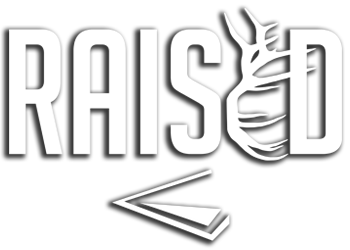 Because of the high protein levels in Deer Delight, deer are receiving everything they need during the fawning stage for does and the bucks are getting the nutrients they need to grow big racks that hunters will brag about. The great thing about Deer Delight Food Plot is that it can be planted in the spring to bring deer and other wildlife in during the summer and it has the strength to keep wildlife on the plot well into late winter. When other food sources have dwindled to nothing during the winter months, Deer Delight will still be healthy and producing the food deer crave and need. There is a lot of talk of funneling deer and how man-made funnels can really put the odds in the hunter’s favor. Also, planned exit and entry routes to the stand are so important that they can often make or break a hunt. Especially when a food plot near a stand or blind is likely to be holding deer. These are just a couple things that the Green Screen Food Plot can help with. Growing at heights to 14-feet, this seed mix is strong enough to last well into the winter when other similar plants are dying off. There are so many uses for this seed that it is hard to mention all of them. A favorite thing to do is to create a funnel to a food plot. 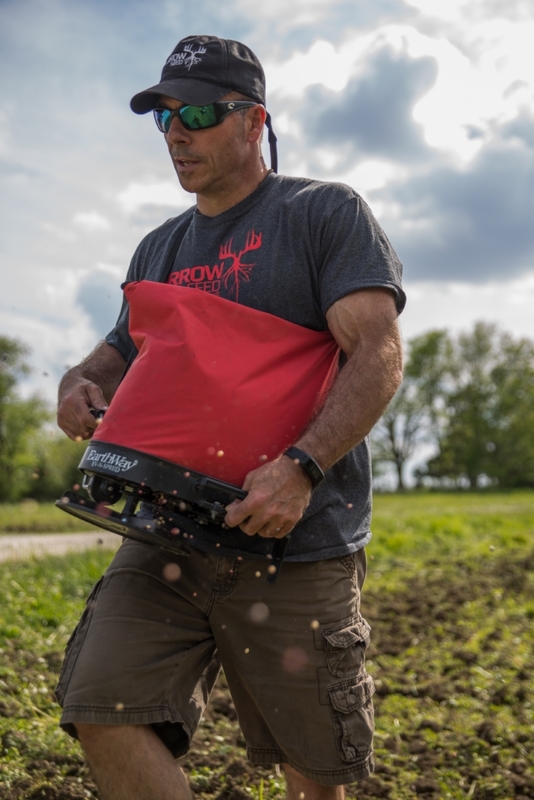 By planting Green Screen around a plot such as the Krunch N Munch Food Plot you end up with a tall barrier, but by going in and mowing a path you create an entry and exit route for the whitetails. This will often dictate the path deer will take to gain access to the food. Whitetails will almost always take the path of least resistance which in this case would be walking down the cut path rather than through the tall Green Screen. This makes it a lot easier to place a stand especially on plots where deer seem to enter and exit from every direction. In some cases, Green Screen can be planted as a barrier that will allow a hunter to get to or from his stand undetected by sight. So many hunts are ruined before they ever begin when a hunter tries to get to or from a stand and deer are feeding nearby. By having this tall barrier between a travel route and the plot, movement can be made unnoticed. Other uses are to plant small patches around the base of tripod stands that help break up the outline of the support legs. Another great use is to plant small patches where ground blinds will be placed later in the season. It is so simple to snug a ground blind in to the tall cover and the blind blends in so well it is hardly noticeable to the deer. This is great if you need to move a ground blind from one location to another without giving whitetails time to get accustomed to the unfamiliar sight. Also, this is a great mix to plant around an entire plot that is not being used as a kill plot but rather as a sanctuary type of plot. Deer will feel secure enough within the confines of Green Screen to stick around and gain the nutrients needed to grow big racks and put on the weight to make it through the winter. Brassica Plus Food Plot is a great mix of brassicas with annual ryegrass mixed in. The added edition of ryegrass will provide forage for deer to eat while the brassicas are maturing. Without the ryegrass it is likely the brassicas would be devoured before growing to their full potential. The great thing about Brassica Plus is that it can be planted in the spring which will yield a higher forage volume, or it can be planted in August which will result in a higher quality of food which makes this a great mix for an awesome kill plot. Try not to hunt directly on the food source on a morning hunt. Deer are probably feeding nearby and what makes an early morning hunt so great is that the deer have not been pressured by hunters. Climbing in your stand that sits on the edge of the food plot is likely to alert deer that you are close. This is where knowing what trails deer are using comes into play. Through your summer scouting and the use of trail cameras, these trails should be well-known by now. 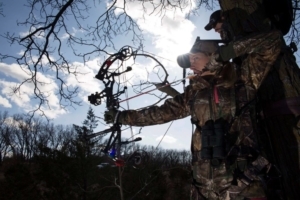 Hang a stand on a trail between the food source and a known bedding area like a swamp or thick ravine. It is a good idea to stay within 50 yards from the food source. Any further and you run the risk of getting too close to the bedding area. This technique will allow you to sneak in undetected. Another reason to hunt this far on the inside edge is to intercept bucks who want to go to bed a little early. Travel routes to and from your stand are just as important as where you position your stand. Always keep the wind in play. If walking to your stand is going to spread your scent across the plot, do not hunt that stand. Always keep downwind of where the deer are feeding. Never cut across a food source to get to your morning stand. If you have to leave home thirty minutes earlier in order to get to your stand undetected, do it. 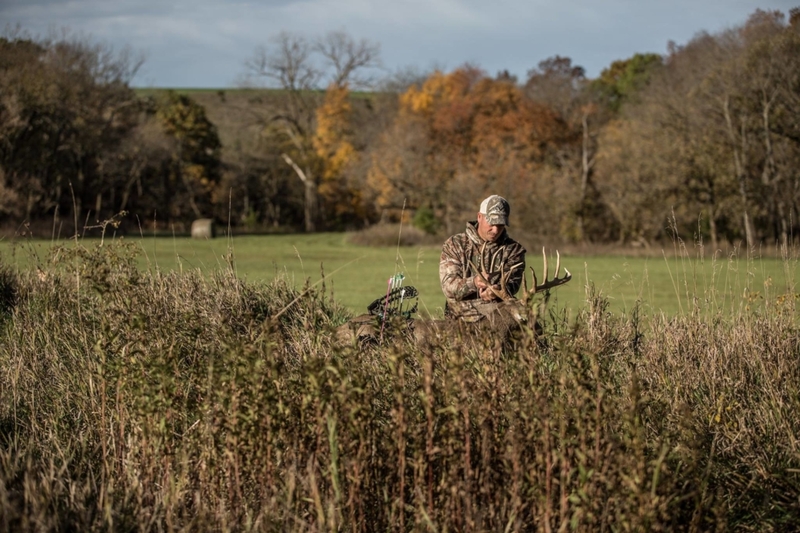 On an afternoon hunt you can often get away with hunting on the edge of a food plot. Try to position your stand about 15 yards downwind from the entry trail or funnel. Unpressured whitetails will feel safe enough to enter a food source with plenty of shooting light left. You might even get a crack at a deer walking the edge of the plot. Something to consider though is your exit route when leaving the stand at dark if it is holding feeding deer. This is a great way to ruin a good spot. If the wind is good you should be able to leave undetected under the cover of darkness, just take it slow and easy. There are so many opportunities for food plots. It is hard to mention them all, but these that we have mentioned work well. 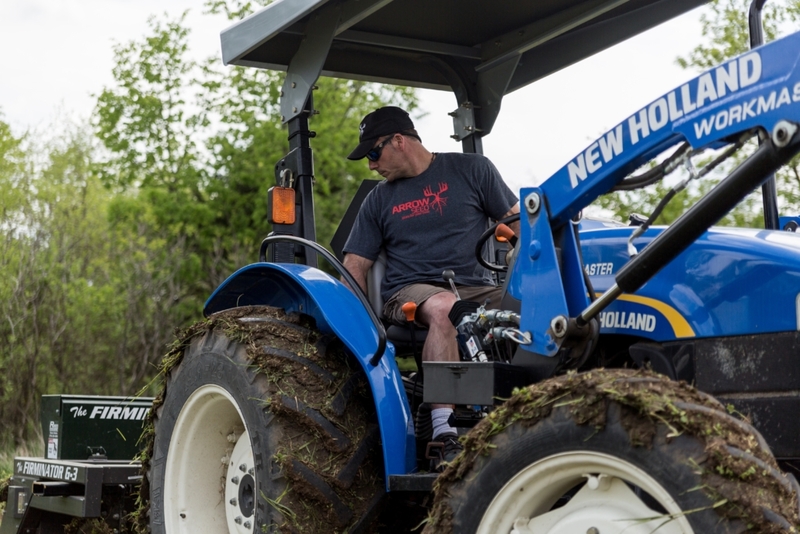 If you have always wanted to build a food plot but haven’t yet, what are you waiting for? I was not sure what food plots were when my cousin was talking about them. It makes sense that you would want to look into various tactics to make this easily done. My sister would love knowing this since her husband was looking into food plots. 6 Summer Hunting Chores for Getting Kids Involved in Hunting Gland Scents | How Do They Work?